The best place to enjoy the much anticipated Chilean sunset is in the Salt Mountain range, the location of the Mars and Moon valleys. 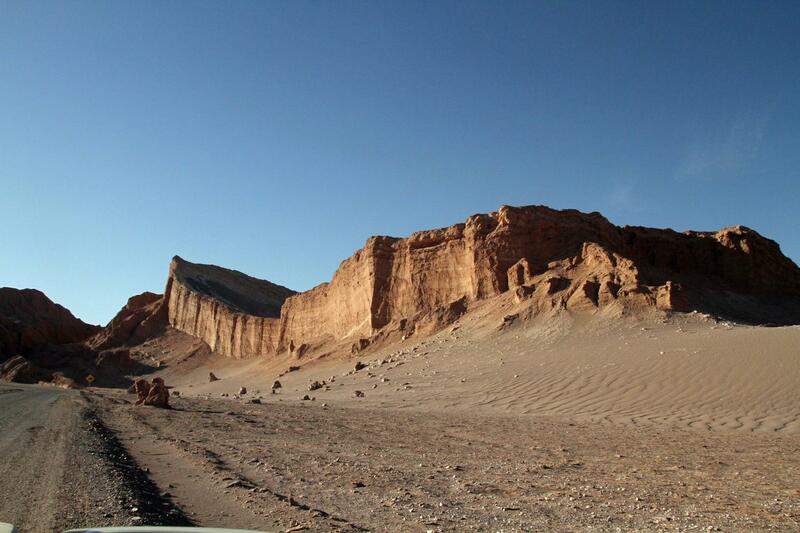 The valleys contain a variety stone, sand-like formations - a result of water and wind. As the sun sinks below the horizon, experience the wonder f the area and its close resemblance to the moon. In the evening, one of the most expected moments is the sunset and the best place to appreciate it is the mountain range of the Salt, with its Mars and Moon Valleys that are saline and sacrilegious conformations product of the mineralogical folding that have taken place for one hundred million years and that originated small mountains of capricious and sculptural forms that at sunset resemble a Lunar landscape.